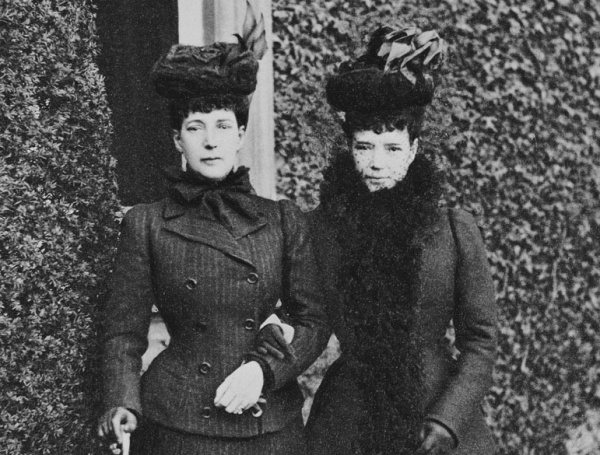 Dowager Queen Louise of Denmark , widow of King Frederik VIII, who died in 1912, and Dowager Empress Marie Feodorovna of Russia , widow of Emperor Alexander III, who died in 1894, will be the guests of Dowager Queen Alexandra  at Sandringham. 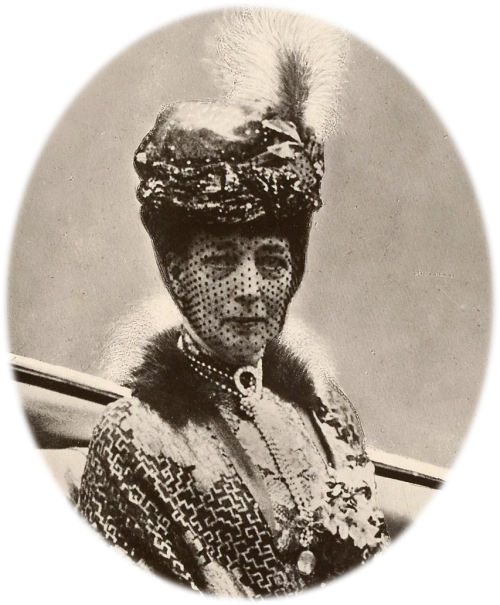 Queen Alexandra is the widow of King Edward VII, who died in 1910. Those who follow the annals of royalty say this is the first time, probably in history, that three widowed queens have thus come together . Marie Feodorovna is a younger sister of Alexandra, and Louise is a sister-in-law of both. Hence, it will be a family reunion. Marie Feodorovna arrived in England recently and celebrated her seventy-fifth birthday, November 26, as a guest of her sister. She has been living for the last two years in Denmark -- she was originally the Danish Princess Dagmar -- but she will now remain in England for several weeks. Queen Louise, who is seventy-one years old, is expected at Sandringham a few days after Christmas. 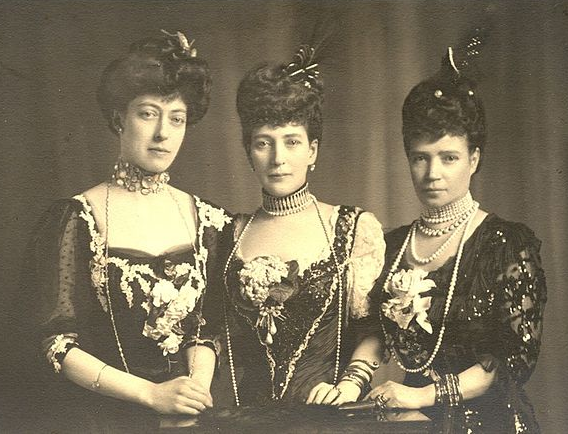 No public or social functions will be arranged in honor of the royal guests, but in the Christmas season, King George and the entire royal family  will spend a few days with Queen Alexandra and their aunts. The meeting of Queen Alexandra, who is seventy-eight years old, and her sister will be more or less touching as the queen is known to be very distressed at the plight of her sister, who has been rapidly declining in health since the killing of her son, who was Emperor Nicholas, by the Bolsheviki at Ekaterinburg in the summer of 1918. 1. Queen Louise of Denmark (1851-1926), nee Princess Lovisa of Sweden and Norway. The only surviving child of King Carl XV of Sweden, she married Frederik VIII of Denmark in 1869; they reigned from 1906 until his death in 1912. During her widowhood, she lived at a palace she had built for herself: Egelund Slot in Hillerød. 2. 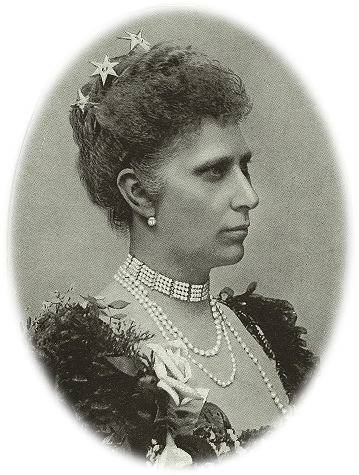 Empress Marie Feodorovna of Russia (1847-1928), nee Princess Dagmar of Denmark. First engaged to marry Nicholas Alexandrovich of Russia, she ultimately married his younger brother, Alexander III, after Nicholas's sudden death. She became empress consort when her father-in-law was assassinated in 1881; her husband died in 1894. She managed to escape Russia following the tumultuous revoltion of 1917; her son, Nicholas, and his family were not so lucky. She died at Hvidøre, the Danish country residence that she shared with her sister, Alexandra. 3. Queen Alexandra of the United Kingdom (1844-1925), nee Princess Alexandra of Denmark. She was the eldest daughter of King Christian IX of Denmark; she married Edward VII of the United Kingdom in 1863 and was queen consort from 1901 to 1910. She spent much of her widowhood at Sandringham House, the country house in Norfolk that Queen Victoria had given Edward and Alexandra as a wedding present. 4. This is a strange claim. The Danish royal family was close-knit, and they inevitably spent time together. One visitor who didn't come, though? Queen Louise of Denmark! The American press apparently confused her with Queen Olga of Greece, the widow of Alexandra and Minnie's brother, King George I of Greece. Articles in American papers even referred to Olga as "Queen Helena of Greece" in articles later in the month. Beyond Queen Olga and Empress Marie Feodorovna, there were other royal visitors for Christmas, too. King Haakon, Queen Maud, and Crown Prince Olav of Norway came to visit for Christmas; Maud was Queen Alexandra's daughter (and King George's sister). Princess Victoria, who lived at Sandringham with her mother, was almost certainly there as well, as was Princess Louise. Newspaper reports from England noted that it was a rainy Christmas, not a snowy one.